In pursuing its massive defense building program, Australia must protect itself against critical corruption risks. Australia is embarking on a defense building program, the largest it has undertaken since World War II. The figures involved are staggering: $50 billion for new submarines, $35 billion for frigates, $3 billion for offshore coastal patrol vessels, all of which are to be built in Australia. With upgrades to bases and training facilities and spending on skills enhancement projects, the estimated total cost for naval building alone is $89 billion. Added to the list are new armored fighting vehicles and thousands of vehicles and trailers for the Army. Furthermore, recently the Australian Government announced a $3.8 billion fund to assist the defense industry in exporting Australian weapon systems. While the commentary and debate has focused on capability, cost, and where the vessels will be built, there has been no discussion on corruption risks associated with the program. Big money attracts greedy people and firms. New defense programs, particularly the acquisition of major assets with new and advanced regional capabilities, also attract foreign intelligence interest. These defense acquisition program are occurring at a time when Australia is facing increasing scrutiny from foreign intelligence agencies. There is a symbiotic relationship between successful intelligence gathering operations and corruption. Foreign intelligence agencies employ corruption techniques to penetrate governments, primary builders, contractors, subcontractors, and suppliers. A common corruption technique is grooming, a method being practiced to great effect by a major foreign power around the world, as recent events involving an Australian senator have confirmed. Corruption is an act of extremely poor governance and recently there have been some red flags warning of poor governance in the Australian defense industry — for example, the loss of commercial nonmilitary data by a defense contractor and the loss of security plans to the parliament house. In intelligence operations, all the pieces matter, and even the loss of unclassified information adds to the pool of potentially valuable information that could be exploited by a future enemy. And while the incidents have caused a refocus on the security of defense information, there has been no public discussion on whether other areas of governance, for example anti-bribery and corruption risk management plans, are in place and are effective. Anti-bribery and corruption (ABC) plans are usually part of an overall risk management plan. Implemented correctly, an ABC program raises the standard of risk awareness in an organization and hardens it against all major risks, not just against corruption. If a foreign intelligence agency or criminal group was to employ corruption techniques to obtain sensitive information, then their attempts are least likely to succeed when an organization has an effective ABC program. Even if Australian firms engaged in the defense building program have effective ABC plans, risks to the various program would still exist offshore. All the current bidders or those who have won building contracts to build naval vessels are foreign firms. Some of those firms or their predecessors have a history of corrupt behavior. BAE systems, which is tendering for the future frigate program, has been involved in bribery scandals in Saudi Arabia and Tanzania. 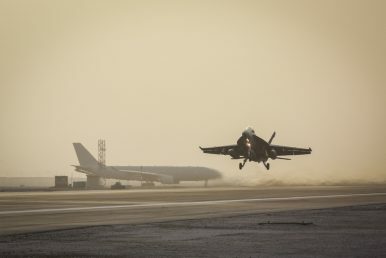 The company pleaded guilty in the United States to charges of false accounting and making misleading statements regarding the sale of fighter jets to Saudi Arabia. The company was fined $400 million. In sentencing, the U.S. District Judge stated the company’s conduct involved: “deception, duplicity and knowing violations of law, I think it’s fair to say, on an enormous scale.” It also pleaded guilty and reached a £30 million settlement for breaching its duty to keep accounting records involving the sale of radar to Tanzania. BAE Systems’ use of poor internal accounting as the cause, and not bribery, does not instill confidence in the Australian taxpayer about its overall governance systems, including its capability to cost equipment accurately and measures to prevent the company engaging in bribery and being a victim of bribery. The French Naval Group has been chosen by Australia to build a fleet of 12 submarines. Prior to June 2017 it was known as DCNS, which itself was formed when Direction des Constructions Navales (DCN) acquired Armaris, from Thales. Thales has a capital stake in DCNS. In 2002, DCNS sold three submarines to Malaysia. Since then four people are being prosecuted in France for their part in using bribery over the sale of the submarines (the latest two are the ex-president of the international arm of DCNS and an ex-CEO of Thales). And DCNS come to notice in 2016 for the leakage of a complete set of plans and information on the combat and stealth capability of India’s six Scorpene submarines. The plans were unlawfully removed allegedly by an ex-French naval officer working on contract for DCNS. People with serious criminal convictions are banned from working in many industries, including defense. Why shouldn’t the same standards be applied to a company engaged in similar or worse conduct? Paying a fine for being involved in bribery does not absolve the organization of sin. It needs to demonstrate what has changed within the organization to earn our trust. A foreign intelligence agency seeking to obtain classified information about Australia’s new naval vessels would probe any foreign companies for weak links, if it could not penetrate a local Australian company. A foreign intelligence agency would understand that if a company is prepared to pay bribes, then unless there has been a change in culture, there is a high probability it will employ staff who are prepared to accept bribes in return for releasing information. And that is a major risk to the security of Australia’s naval forces. It is not possible to prevent all acts of bribery. To attempt to do so would place a huge financial and administrative burden on any organization. Any plan to mitigate corruption should be proportional to the risks, and reasonable, but that doesn’t mean Australia should be a soft target, either. When it comes to Australia’s naval building program, the risk of bribery and corruption occurring in the tendering process and building phase is large, as there could be over 4,000 subcontractors involved in the program. Given the technology involved, the use of corruption by foreign agencies to secure classified or sensitive information is a very real threat, both in Australia and offshore. The international standard for the prevention of bribery is ISO 37001, Anti-Bribery Management Systems. The Australian government should insist that all companies — including foreign-owned parent companies and the subsidiaries they control that are tendering for local defense work or have won a contract and all organizations working under subcontract — demonstrate that they have in place anti-bribery management systems (ABMS) in accordance with the standard. In the interests of national security, Australia should not allow a company that has a history of poor corporate performance involving unlawful behavior to tender for a project to build its warships or military equipment without establishing what has changed within the company to prevent corruption. The Australian government should terminate any relationship with a company that cannot meet international anti-bribery standards. Chris Douglas is a director at Malkara Consulting (Singapore) Pte Ltd, a company that specializes in financial crime and risk management consulting and training. He served for 31 years in the Australian Federal Police, where he investigated financial crime, including corruption, and before that he served six years in the Australian Army. Canberra wants to spark growth in its defense industry, but the market is a crowded one.